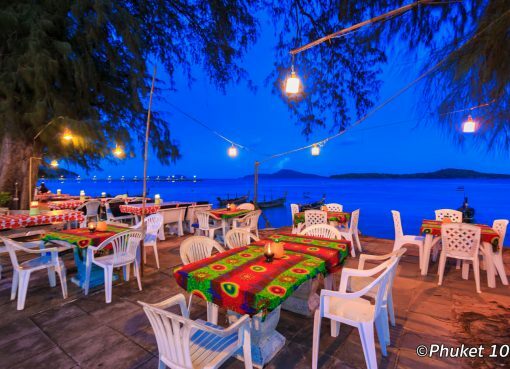 Where to Eat in Rawai? 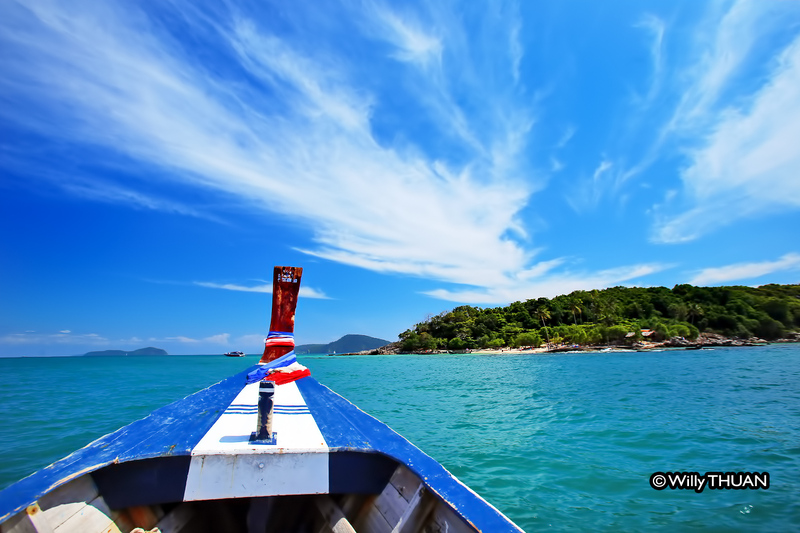 What to Do in Rawai? 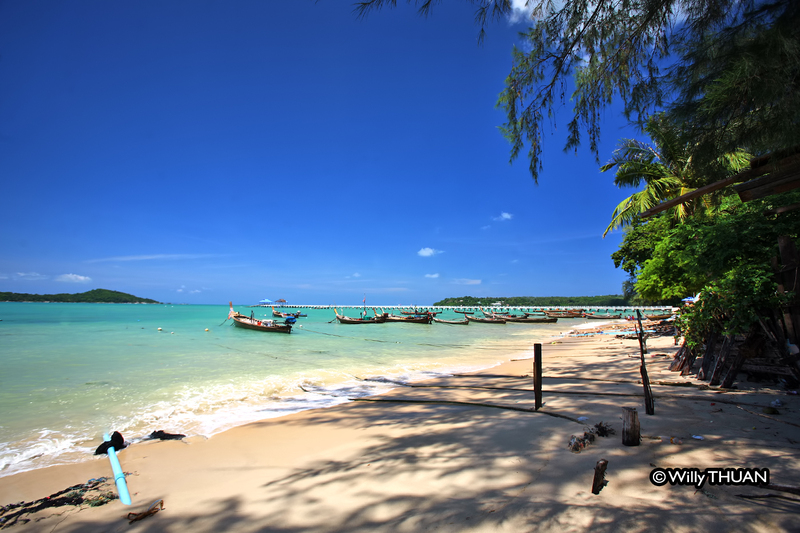 Rawai Beach, at the south end of Phuket island, is not a swimming beach but offers beautiful views on the many nearby islands in a peaceful local atmosphere. 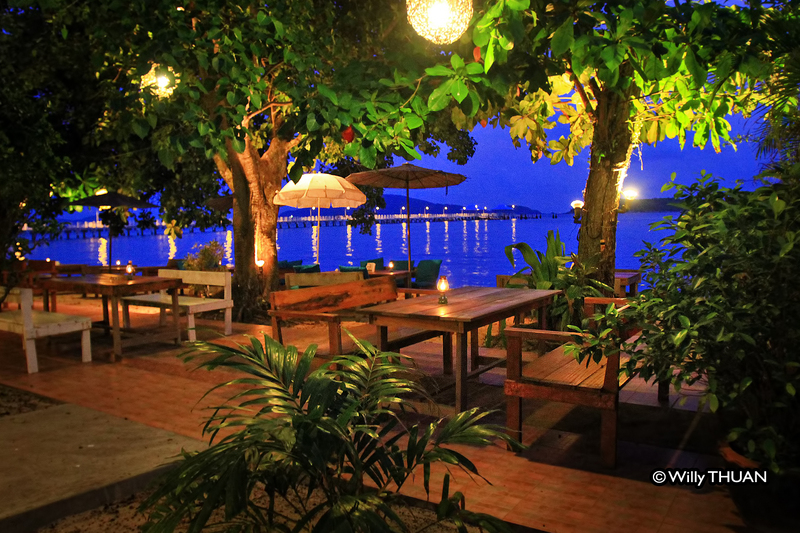 It’s a great place to enjoy great seafood be the seaboard and a good starting point to do some island hopping. When driving south, the left side of the main pier was long known as the ‘Gypsy Village’, where long-established fishermen in rather precarious houses make a living of fishing, boat chartering and selling shells. 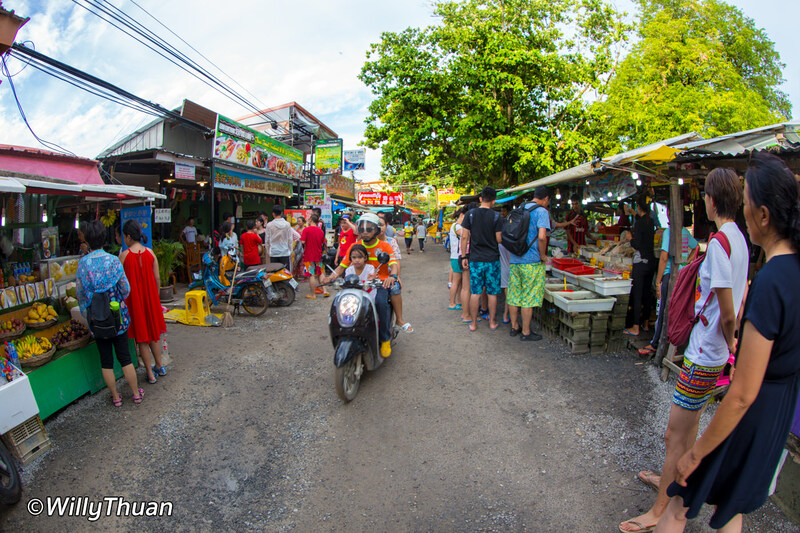 Now it’s mostly famous for the crowded Rawai Seafood Market. 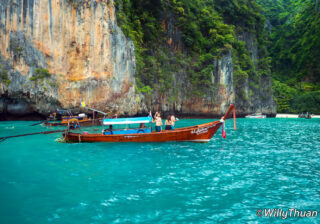 The right side of the bay is an anchorage for dozens of longtails boats and speedboats. And the far right side is often the starting point for good kite surfing when wind permits. 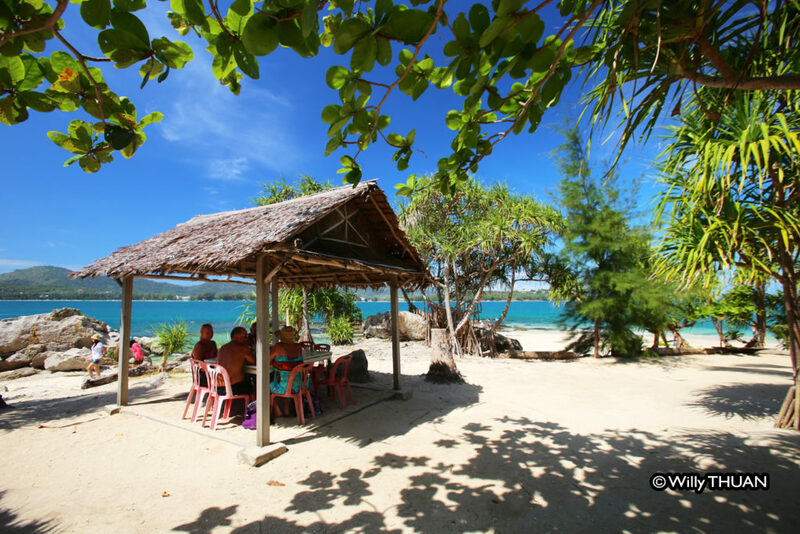 Rawai Beach has always been very popular for the many seafood restaurants all along the waterfront. The best way to enjoy this unique experience is to eat on mats placed the floor like locals do, it’s fun and the food is often better than in tourist restaurants, and it’s a more memorable experience (try the one called ‘Aek Seafood‘). 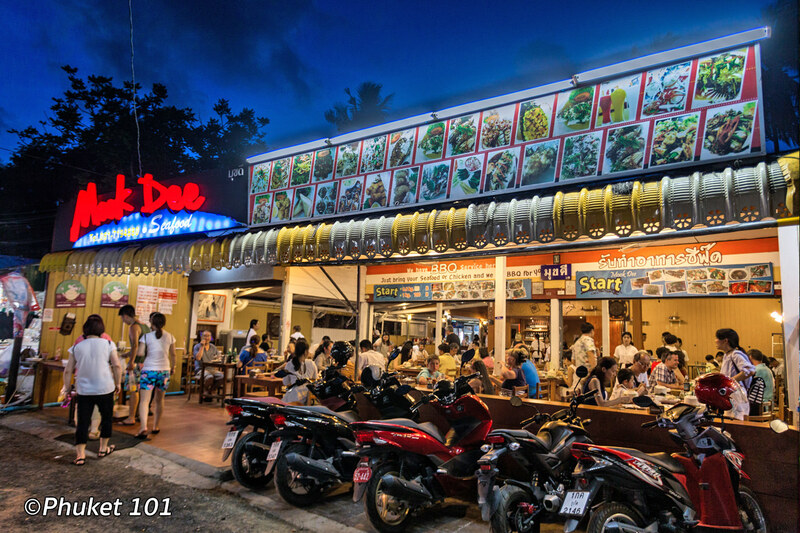 As mentioned earlier, the Rawai Seafood Market is very popular. You order any fish or seafood you like from one side of the road and take it to the restaurants just opposite to have it cooked for 100 baht per kilo. 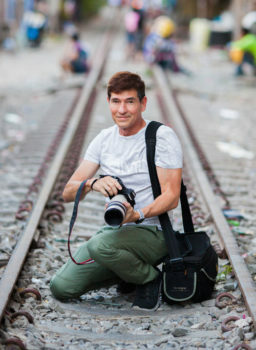 It’s also fun but since everywhere tourist tend to flock, prices go up instantly. 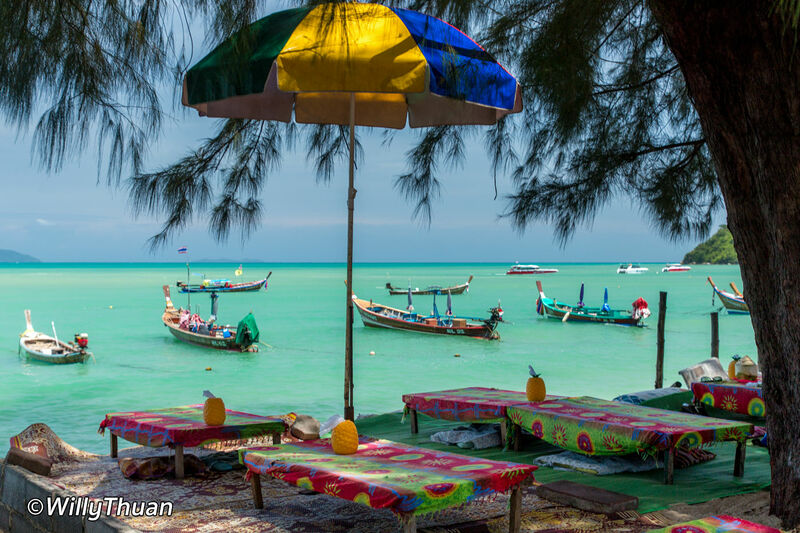 If you prefer to eat at the table, go to the western end, at the curve pointing at Promthep Cape there is a small street leading to a group of small seafood restaurants. Or you can try the well-known and all time favourites ‘Nikita’s‘ and ‘Baan Rimlai’ just next to it. The setting under the trees with a view on the nearby islands is very agreeable for lunch or dinner. More inland you will find a lot of good restaurants, often serving more elaborated European cuisine, but they tend to open and close faster than we can review them. 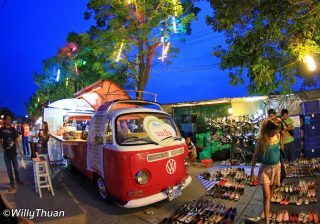 Nearby attractions include shopping along the Gypsy Village seafront, selling shells and local pearls near a small fish market. The large Phuket Shell Museum has been the landmark of the Rawai area for almost twenty years, and of course Promthep Cape View Point famous for its striking sunsets which, with its sugar palm trees, is a symbol of Phuket island (you can recognize it on some Phuket car plates having a ‘lucky number’). From Rawai Beach, you can also take a longtail to the nearby ‘Bon Island‘, its beautiful beach and ‘Bon Island Restaurant‘, a great experience for a lunch on a tiny tropical island! 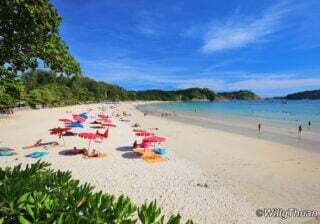 For swimming, just drive further west to Nai Harn and it’s amazing white sand beach, it’s not very far. 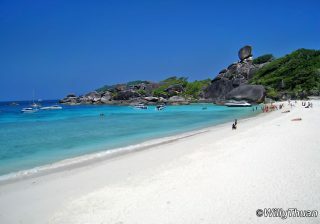 Not far from Rawai is a little hidden Laem Ka Beach. It’s a little run down but it has a real local charm. 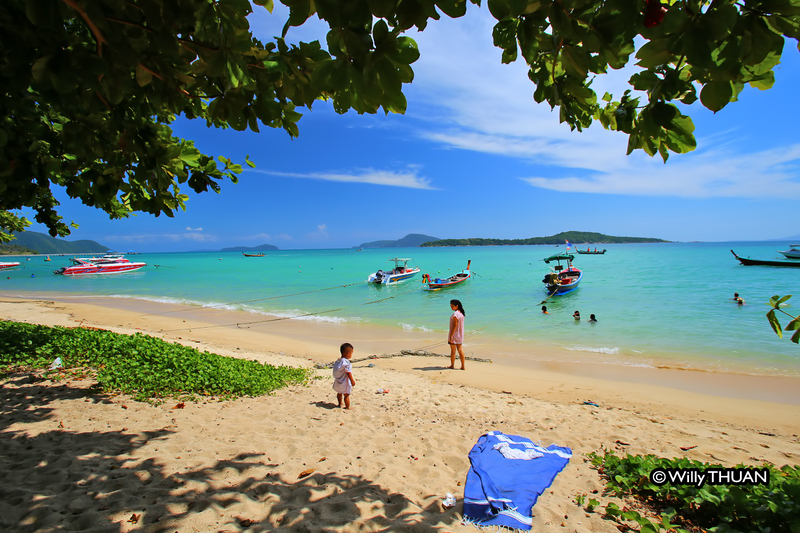 If you came as a family, you could spend the afternoon at the Rawai Park Kids Club. 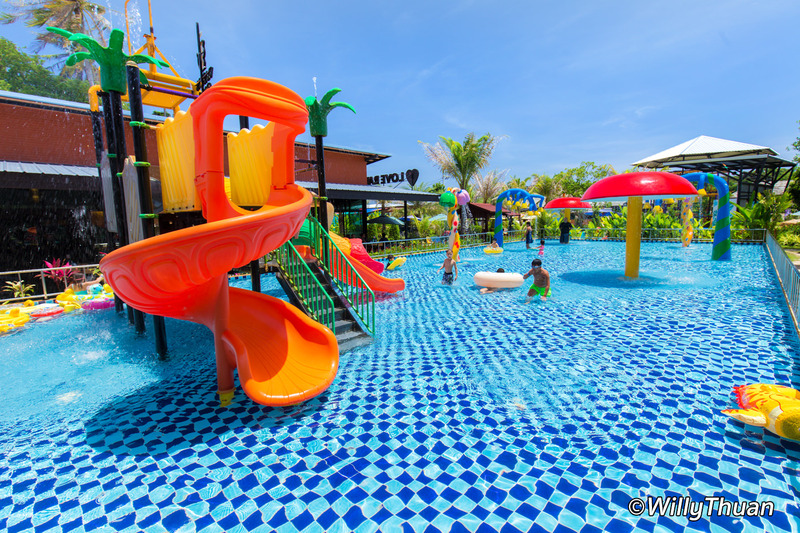 The Kids club features a lot of games and a larger shallow and colourful swimming pool. Not too many hotels are available around, as many people prefer the west coast, but some noticeable hotels are the Serenity Resort and its amazing views. 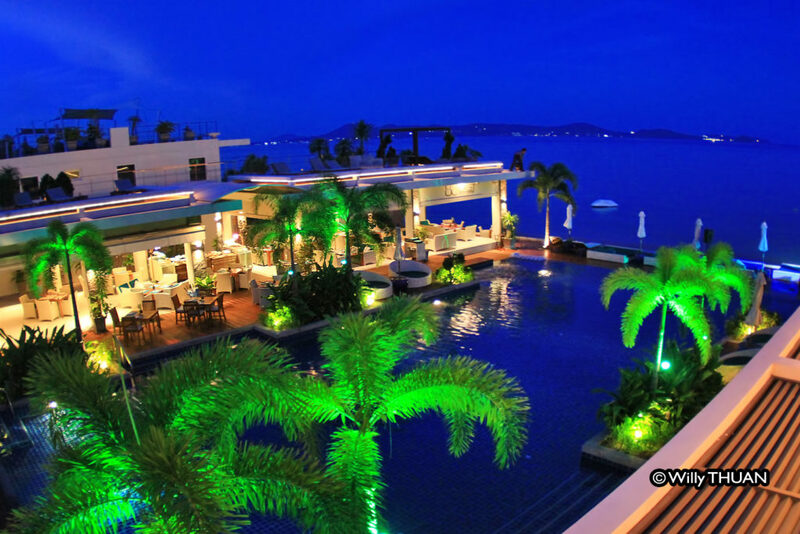 More inland are the Golden Tulip Mangosteen Resort on top of a nearby hill and Coconut Paradise Villas with its private pool villas, popular for peace seekers and families. Overall, Rawai Beach is not your usual beach destination but offers a unique local feel and is perfect if you prefer a quiet and peaceful holiday with a lot of delicious seafood!